Weller, M. (2011) The Digital Scholar: How technology is transforming academic practice, London, Bloomsbury Academic. 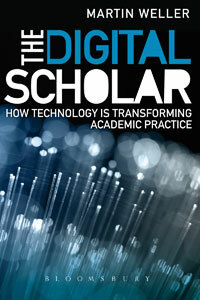 Also available online at https://www.bloomsburycollections.com/book/the-digital-scholar-how-technology-is-transforming-scholarly-practice/. This book looks at how technology has affected academia, and in particular how it has affected the work practices of university professors. Ch. 2: Is the revolution justified?